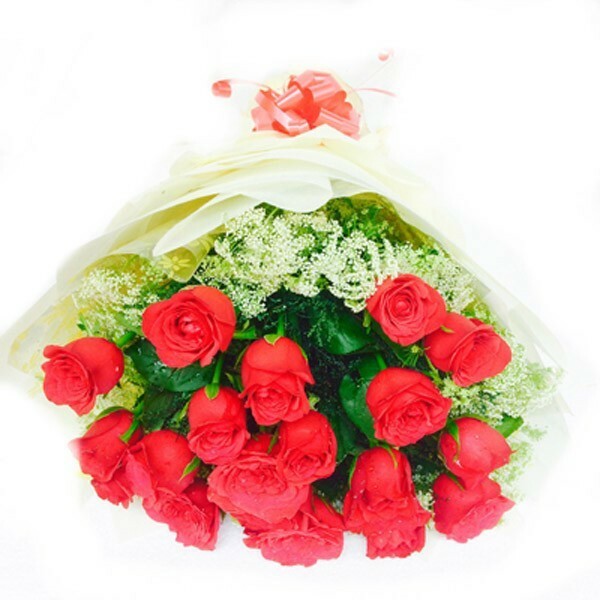 Send this lovely fresh 21 red hot roses arrangement with fillers to your special ones and surprise them through Dp Saini Florist.Add the real sweetness into the relationship. 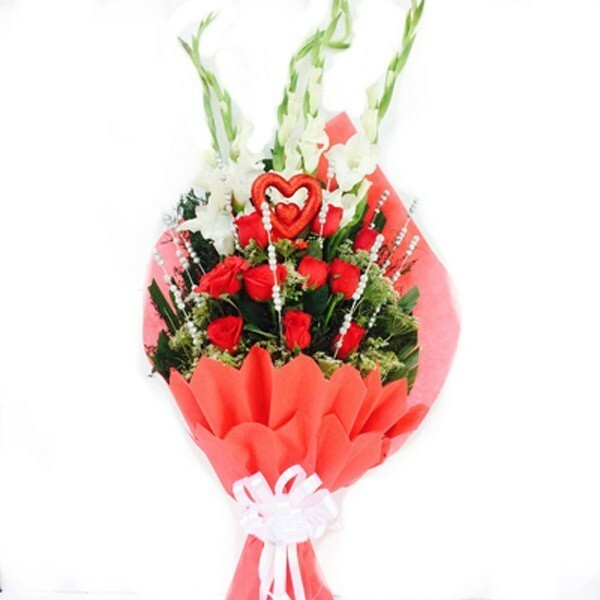 Send this lovely fresh 10 red rose and 6 white glides red paper packing with white ribbon with red heart in middle with dry sticks fillers one side bunch to your special ones and surprise them through Dp Saini Florist.Add the real sweetness into the relationship. 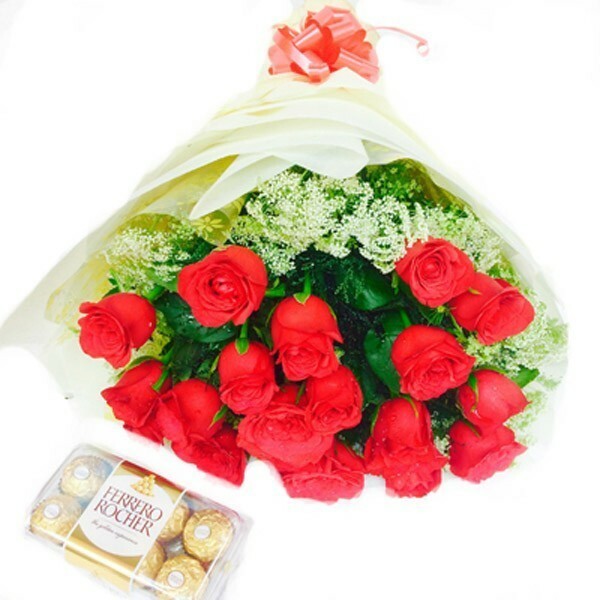 Send this lovely combo having fresh 15 red hot roses off white packing with red ribbon with fillers and 16 pcs ferrero Rochar chocolate box to your special ones and surprise them through Dp Saini Florist. 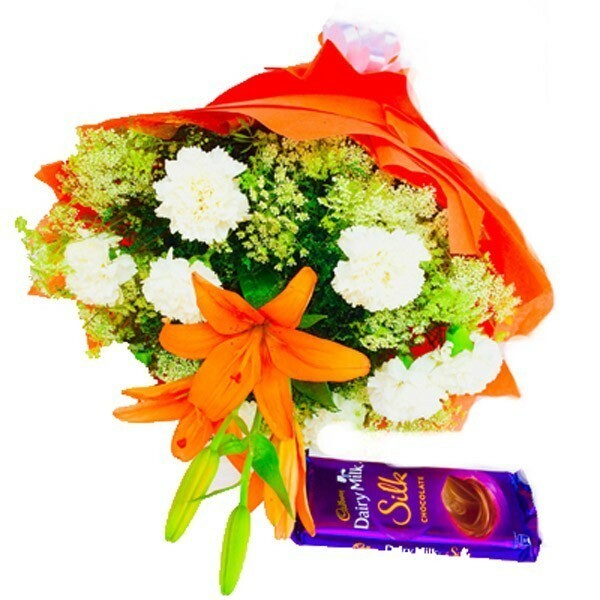 Send this lovely combo of fresh flowers having 8 white Carnations with 2 orange lillies in orange paper packing white ribbon and big Cadbury silk to your loved ones and add the sweet taste into the relationship.Send it through Dp Saini Florist. 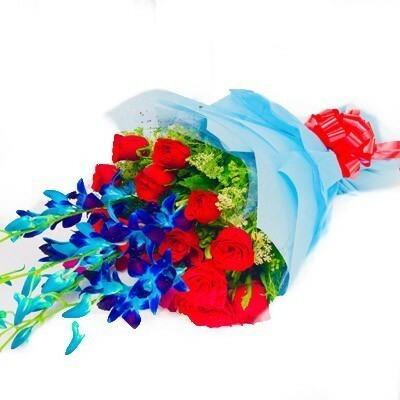 Send this lovely combo of 4 blue orchids and 12 red roses bunch with blue paper packing red ribbon and green fillers and nicely packed to your special one and add the real sweetness into the relationship. 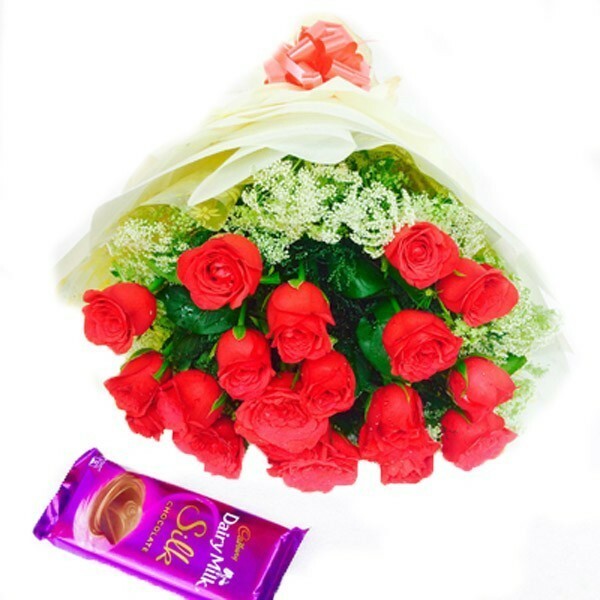 Send this beautiful combo of 20 red roses off white paper packing bunch with red ribbon and fillers with big Cadbury silk to your loved ones and add the sweetness into the the relationship. 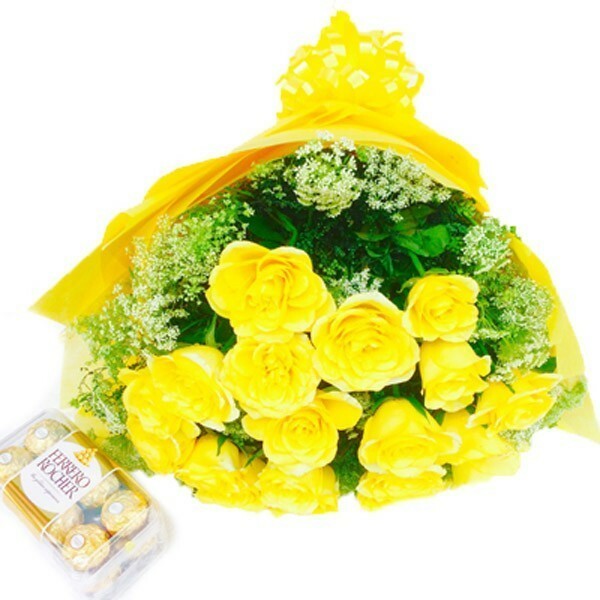 Send this lovely combo of delicious and fresh half kg Pineapple cake along with big Cadbury silk to add the real sweetness into the relationship of your loved ones,this is the best way to show your presence there even if you are not there.Send it through DP Saini florist. 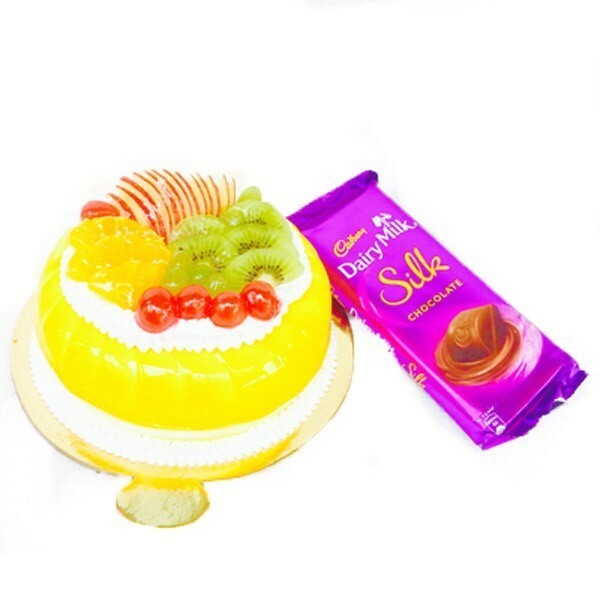 Send this lovely combo of delicious and fresh half kg Fruit cake along with big Cadbury silk to add the real sweetness into the relationship of your loved ones,this is the best way to show your presence there even if you are not there.Send it through DP Saini florist. 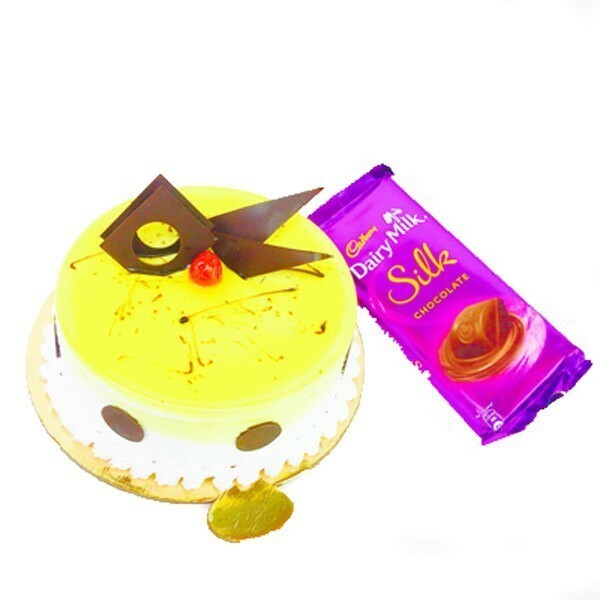 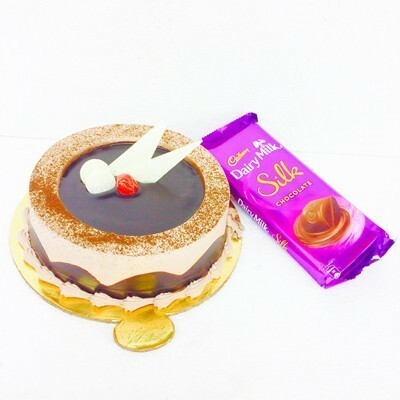 Send this lovely combo of delicious and fresh half kg soft truffle cake along with big Cadbury silk to add the real sweetness into the relationship of your loved ones,this is the best way to show your presence there even if you are not there.Send it through DP Saini florist. 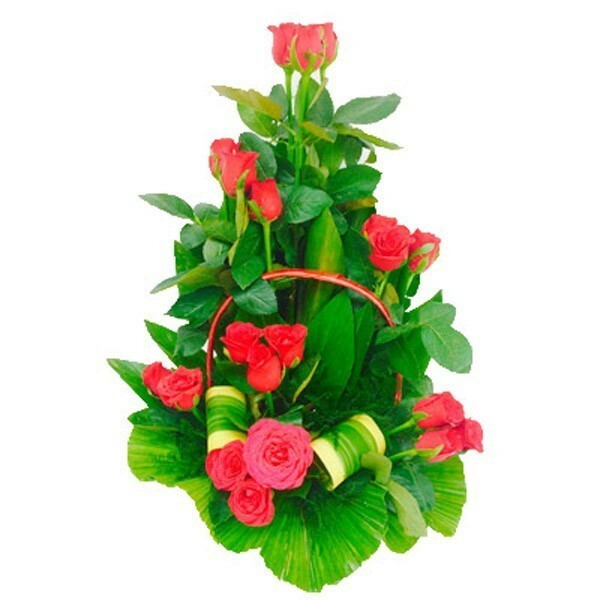 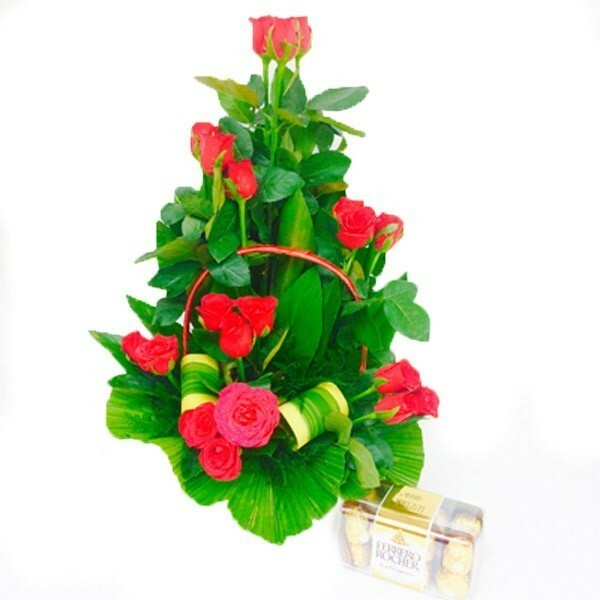 Send this beautiful 21 red roses arrangement having green fillers in a handle basket,this is a love symbol surprise him or her through this beauty of red roses.